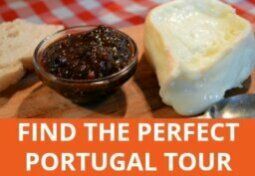 I often get asked about places to visit in the Douro wine region. 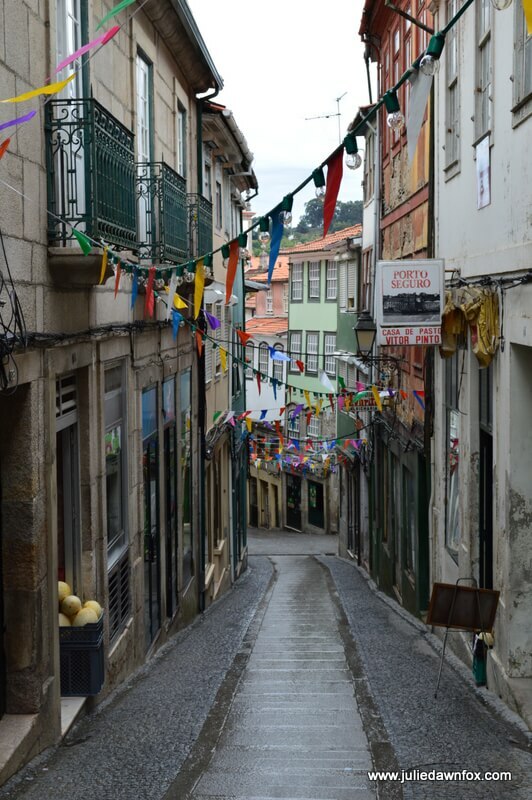 For architecture, history and culture, one of my favourite towns in the area has to be Lamego. Although not on the River Douro itself, it’s only 20 minutes away by car, still in the wine region and well worth the trip. 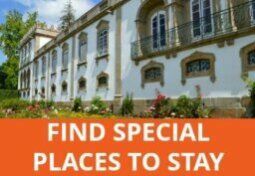 With several accommodation options in and around Lamego, you could use it as a base for exploring. In a nutshell, I like its beautiful old buildings, excellent museum, compact town centre and the view from the hilltop sanctuary, all of which offer a cultural break from touring the Douro wine estates and vineyards. 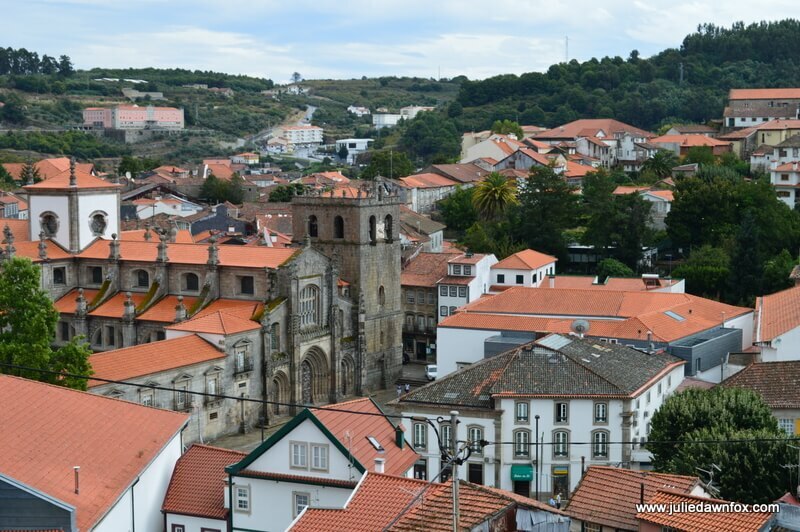 Read on and you’ll soon understand why I recommend Lamego to so many people. I’ll start with my favourite place in town, the Lamego Museum. An astounding collection of ancient art and artifacts, including a fully reconstructed chapel dripping with gold, is displayed within the walls of an 18th century bishop’s palace. Among the many highlights are the set of paintings by one of Portugal’s most renowned painters, Grão Vasco. You can see more of his work in the museum dedicated to him in the town of Viseu but if that’s not possible, simply feast your eyes on these. The luminosity and level of detail is remarkable considering he painted them almost 500 years ago. Equally impressive are the 16th century Flemish tapestries that depict the Greek legend of Oedipus, the guy who unwittingly killed his father and married his mother. What drew me to Lamego Museum in the first place was the promise of azulejos (painted tiles). I was not to be disappointed. These colourful 17th panels, rescued from a Lisbon palace, are extraordinary. 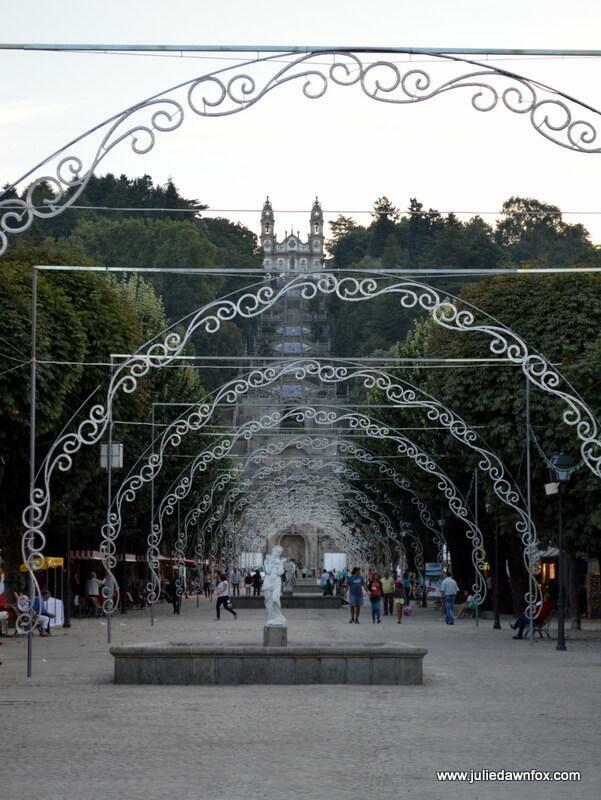 The heart of Lamego is a wide leafy avenue that runs from the museum to the foot of the steps that lead to the sanctuary. You’ll find several restaurants and cafés along here as well as the tourist information centre. The cathedral lies just off this central strip. The cathedral was built by Portugal’s first king, Afonso Henriques, in the 12th century, although little remains of the original structure. To be honest, I’m more impressed with the chunky, frilly Gothic exterior than the interior of this particular religious structure although other people rave about it so you’d best judge for yourself. Gail at Large has better photos of it on her blog if you’re interested. There’s not much left of the town’s castle but it’s still worth venturing up the hill to visit the ruins. To get there, you’ll walk up a narrow cobbled street, passing traditional shops and houses. When I went, the staff at the castle seemed delighted to have guests and couldn’t do enough for us, not that we really needed any help to walk around the walls and admire the views. As you look up the avenue, or across from the castle, you can’t miss the monumental Baroque staircase that leads up to the Sanctuary of Our Lady of Remedies (Nossa Senhora dos Remédios). Visit Lamego on September 8th and you can watch the annual pilgrimage procession as townsfolk carry her statue all the way up to the church. The festivities begin at the end of August with party lights in the streets, stalls and concerts. We took the lazy/easy option and drove to the top of the hill. As you might imagine, the views from up there are impressive, as are the statues. We did walk down a few of the steps to take a closer look at the azulejo panels that decorate them. São Pedro de Balsemão chapel is only a few kilometres outside Lamego so you could walk there and back if you wanted to. The scenery consists of the Douro wine region’s typical terraced slopes with grape vines and olive trees, making for a pleasant journey on foot or by car. When you get to the chapel, allow the attendant to explain the features of the chapel. The Celtic symbols date way back and the elaborate Bishop’s tomb is interesting, especially when you understand the symbolism of the carved stone figures that support it. The interior of nearby Cistercian Monastery of São João de Tarouca (about 25 minutes from Lamego by car) is wonderful, especially if you can arrange for a guide to help you appreciate the story of the azulejos behind the altar. Also in this area are the traditional wine-producing villages of Salzedas and Ucanha. There are at least two wineries that produce sparkling wine, Raposeira and Murganheira, which makes for a pleasant change from all the port wine. 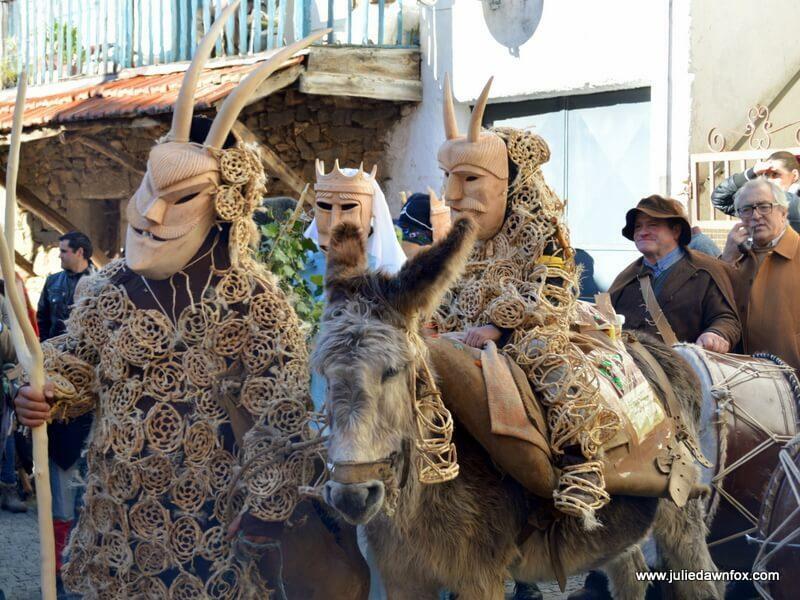 If you happen to be in the Lamego area at Lent, take a drive out to the nearby village of Lazarim to see the wooden masks and costumes used in the traditional rituals. Less than 1 km from the historical centre, the 4-star Lamego Hotel & Life is a great example of a traditional quinta successfully modernised to create a comfortable and stylish hotel. With indoor and outdoor pools, plenty of parking, a pretty terrace overlooking the pool and vineyards, games room and sports faciltities, it’s a good option for families and couples. Check availability and photos. A good budget option in the historical centre are the self-catering apartments at Ardínia the Legend. Clean, modern and comfortable and a good option if you don’t have a car. Note that there’s no elevator and the street can be a bit noisy at weekends. Check availability and prices. For the ultimate in luxury accommodation near Lamego, you can’t beat the Hotel Six Senses Douro Valley. The beautiful traditional building has been completely renovated to provide an oasis of calm and comfort amid the surrounding vineyards. With a wide range of indoor and outdoor spaces, services and activities, this is so much more than a place to rest your head. The restaurant is particularly good at catering for vegans as well as meat eaters. See more photos and check availability. Still luxurious but more affordable is the nearby Quinta da Pacheca. 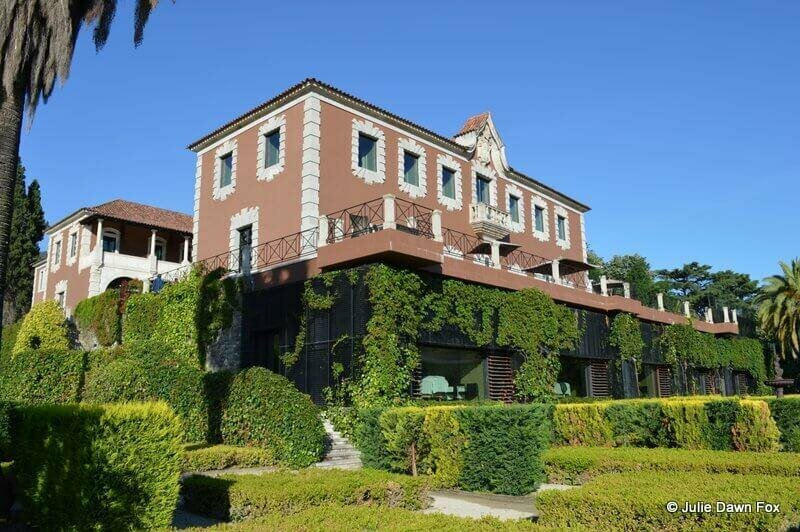 Again, set within a historical building and surrounded by vineyards, this luxury wine hotel is a great place to relax. The onsite restaurant wins awards as do their wines and you can borrow bikes and participate in a range of wine and food-related activities. Check current prices and availability. For a more traditional family-run quinta experience, consider Quinta do Fojô, in the same area as the posher options above. Home grown produce is served at breakfast and you can wander freely around the vineyards and grounds or simply relax by the pool. Bathrooms are shared but don’t let that put you off staying here. Check verified reviews and availability. 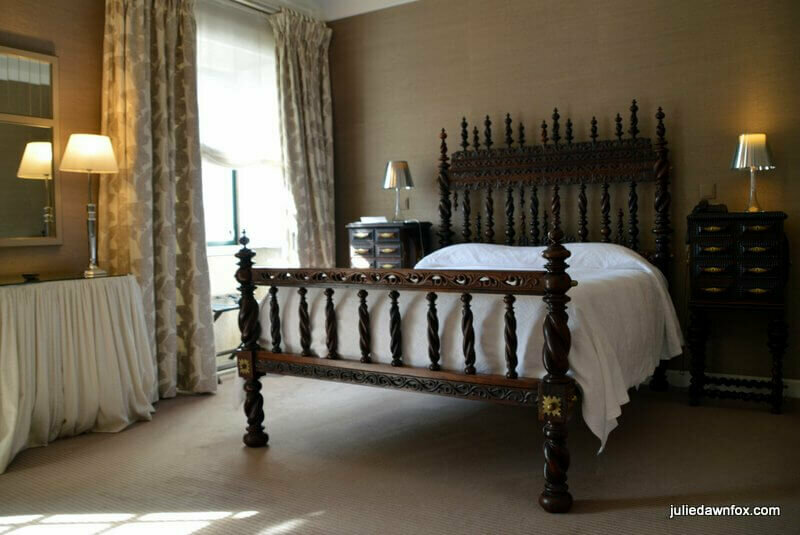 Quinta da Timpeira is proably the closest wine hotel to Lamego and offers quality comfortable accommodation in stunning grounds with great views, a pool and tennis court. Staff are attentive and the food is good, as are the wines produced on the estate. See photos and choose a room. 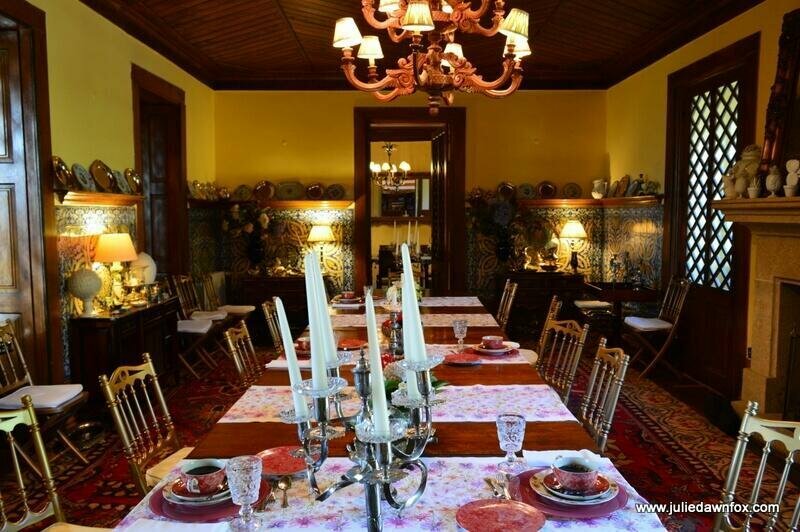 Hotel Rural Casa Viscondes de Varzea is worth the 10-minute drive from Lamego. Maria, the owner, is a delight, as is the wine estate she grew up in. Very romantic, surrounded by vineyards and orchards with an outdoor pool, the accommodations include spacious suites an family rooms. 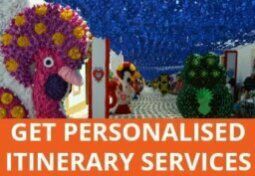 Check availability and seasonal packages. 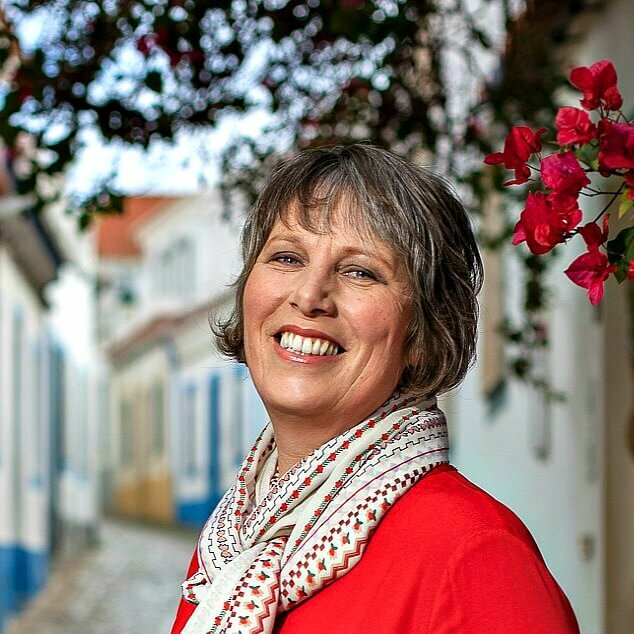 We are off to Lamego for a couple of days – you have inspired us 🙂 Plus we have booked in one of your recommended hotels. Thanks! Sorry if I missed this- where would you recommend for lunch? Read this and added Lamego to our planned day trip.